Ta-da, I finished up this month’s blocks, the day after I received next month’s blocks (Orbit). 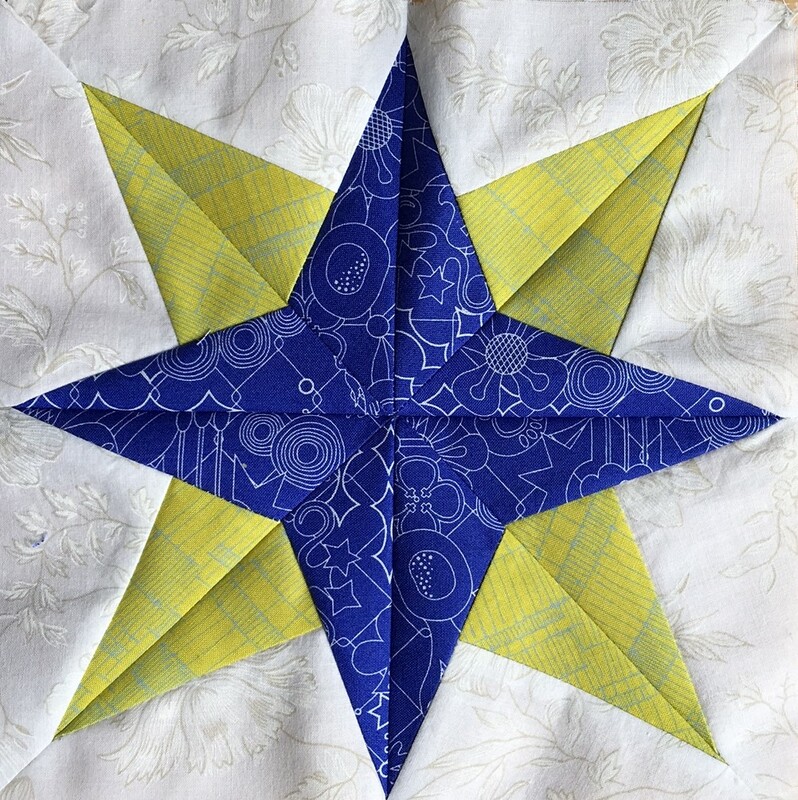 No breather in between blocks this time, and it is all good, because everyone who has already done the Orbit blocks, says they are not easy – not one little bit. It was great to get them a little early this time around. These were a joy to sew, and I’m oh so pleased with how well the points match. They finished to the correct size too. These blocks are a mix of kit fabric, what I already owned, and what I purchased for this project. The recently purchased fabrics were primarily low volume fabrics. I did not have a lot of them in my fabric collection, and one of my local fabric stores – Sew Creative – came to the rescue. The oldest fabric used in a block was from the 1970’s. Yes, the 1970’s. There were only scraps left, but that’s why I have a scrap drawer, and to be honest, my scraps have way outgrown their “containment” area. There will be a lot more projects featuring fabric scraps appearing here soon. And then again, maybe not so soon. 😉 I’m not exactly a speedy maker, but I do so enjoy creating. I love the design. Did not like making them one little bit. The centers are definitely wavy, and it was my fault. 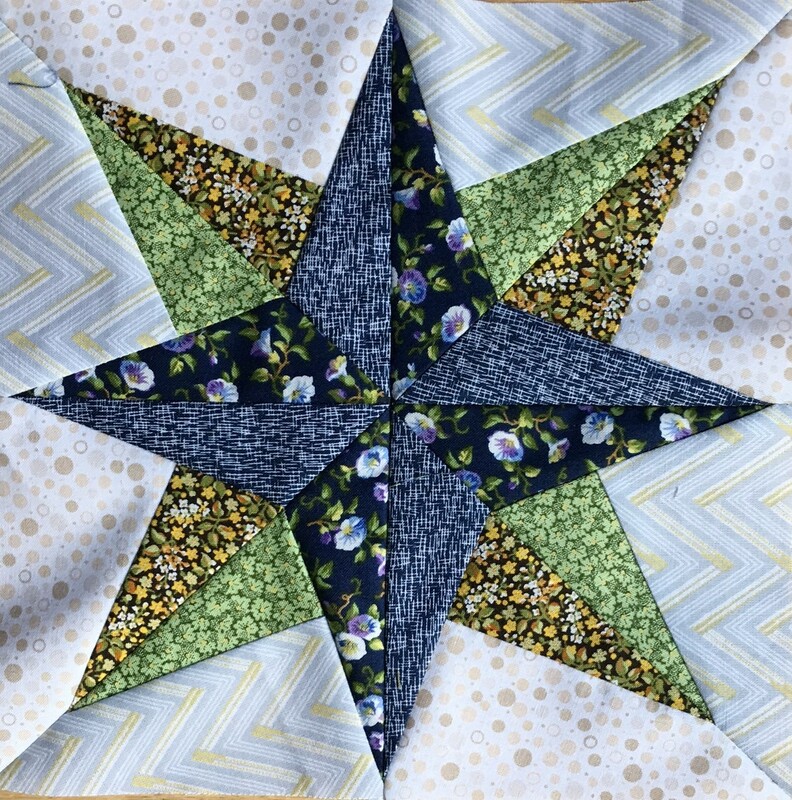 I used a combination of regular weight quilting cotton, with some lightweight lawn. The weight difference between the two fabrics caused the waviness. As a result, I’ve collected all my lawn fabrics, and placed them aside so they can be used together in another project. The first block I made was the one on the top. 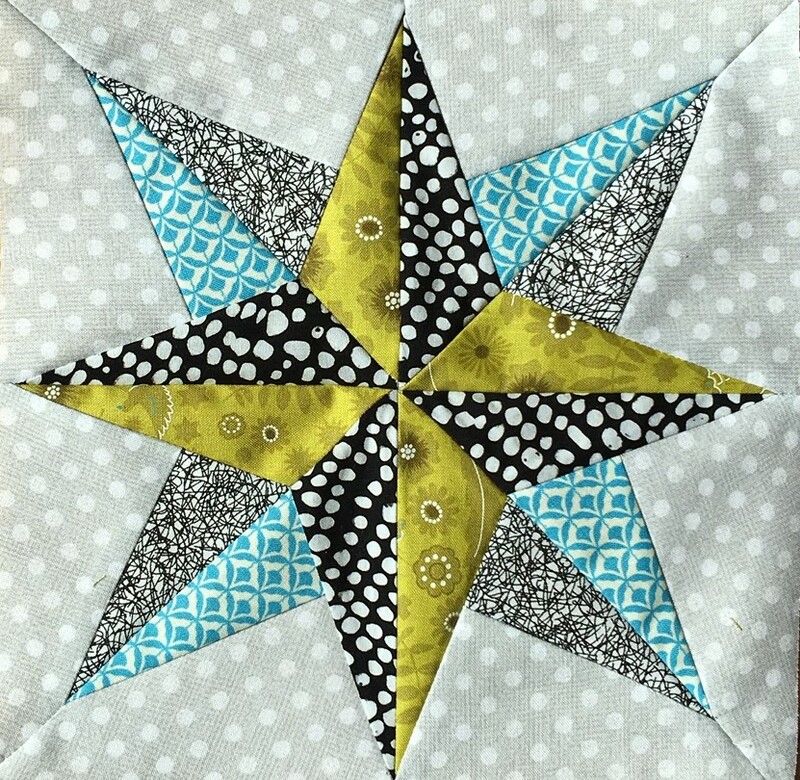 The second block was the one on the bottom, and I like the rainbow star quite a bit. The third block I made was the one in the middle and was the waviest. I really thought I’d get better at making this design with practice, but alas I do believe this didn’t occur. It does appear to be the scrappiest, and that was the effect I wanted to create. 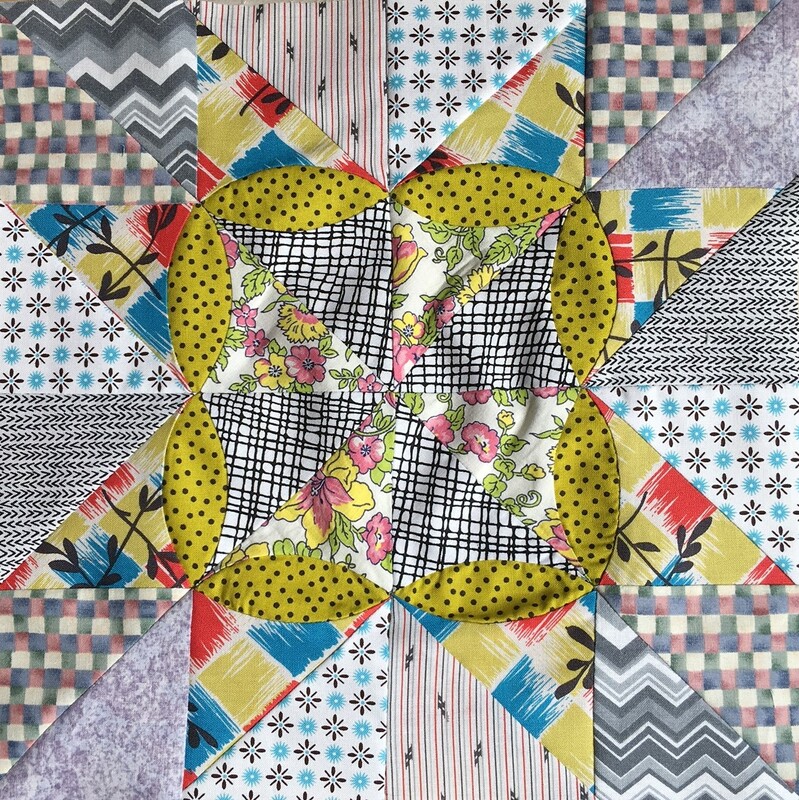 There are actually more different fabrics in the first block, but the border fabrics all kind of blend with each other – which was my intent – so I don’t think that block appears as particularly scrappy. I don’t have a favorite block here, and all I can say is I’m really glad I’m done making them. If I had to make more, I’d fuse those darn melon shapes in place. They were a royal pain in the you know where to sew, and I’m hoping I can iron them flatter, or that the quilt batt will absorb some of the waviness. 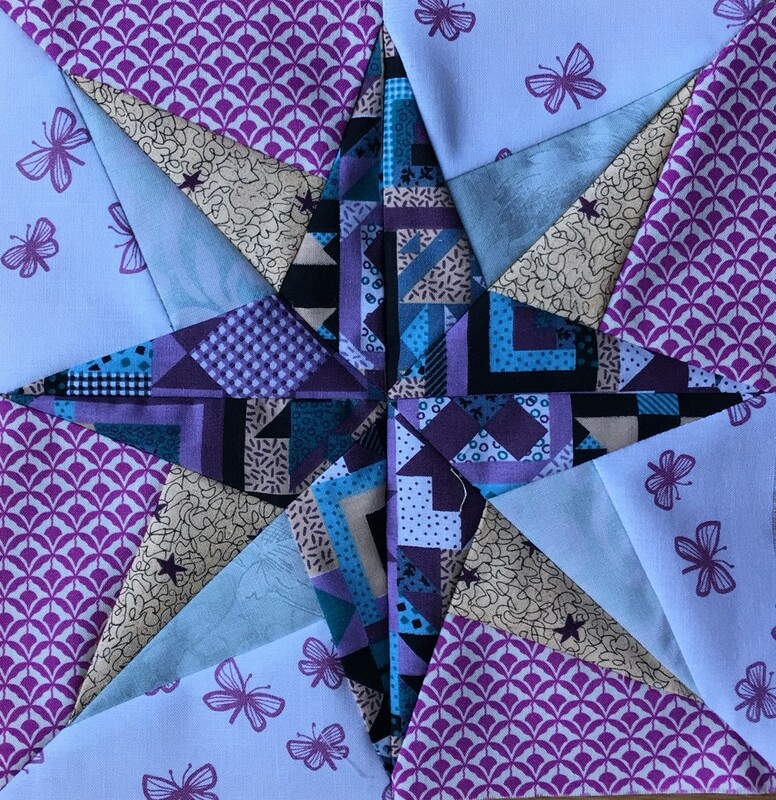 I’m sure I’ve made more than 15 Comfort quilts, but this is number 15 since I’ve started taking pictures, posting them on my blog, and remembering where the photos have been kept. There were 2 laptops, and 1 desk top involved with storing photos, so it’s no wonder I lost track of some of them. 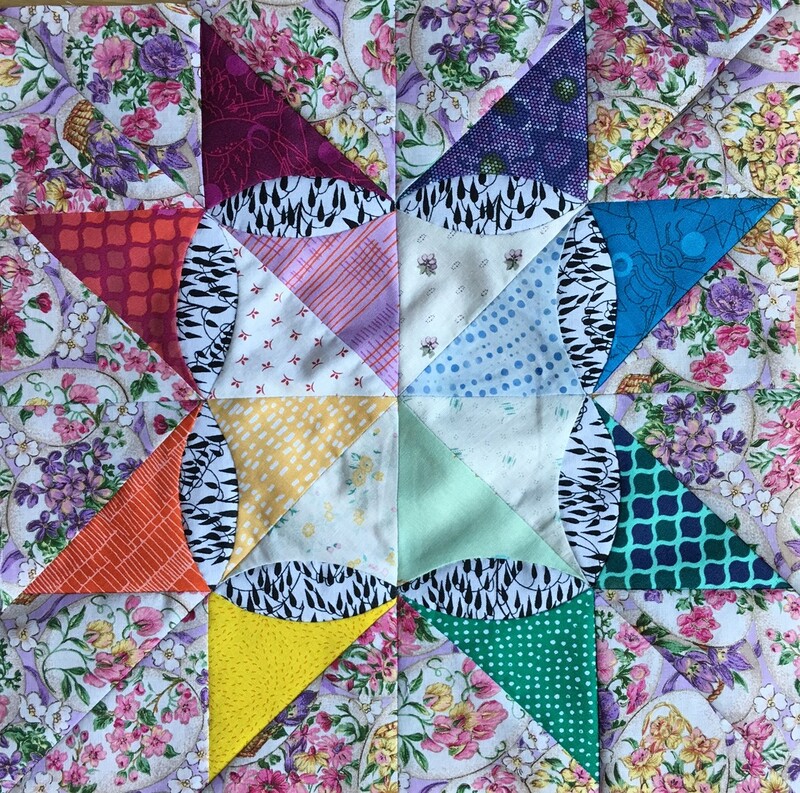 The bottom half of this photo is an accurate color representation of the quilt, and I absolutely loved making this one. The colors are so happy. 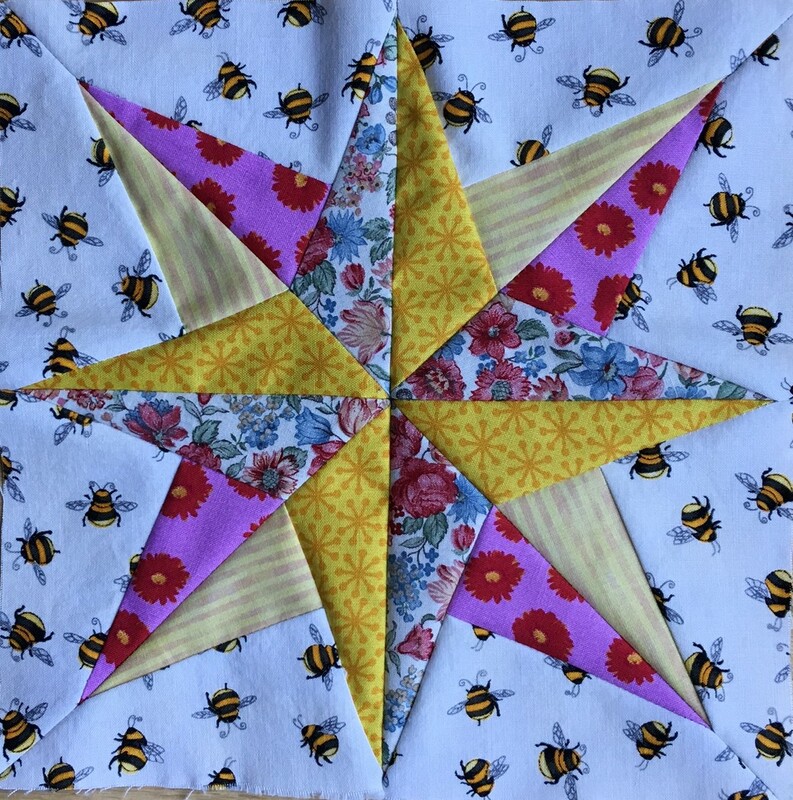 It was hard to give up, but I have a lot of quilts in my home, and I do so hope whoever receives it will love it as much as I do. This has some batik fabric I purchased in Tucson, some Japanese themed fabric, some florals I received in a swap, some 4th of July fireworks printed fabric, and some Christmas fabric I purchased from JoAnns in it, and they all played very well with each other. This is the last of the woven themed designs I’ll be making for now. 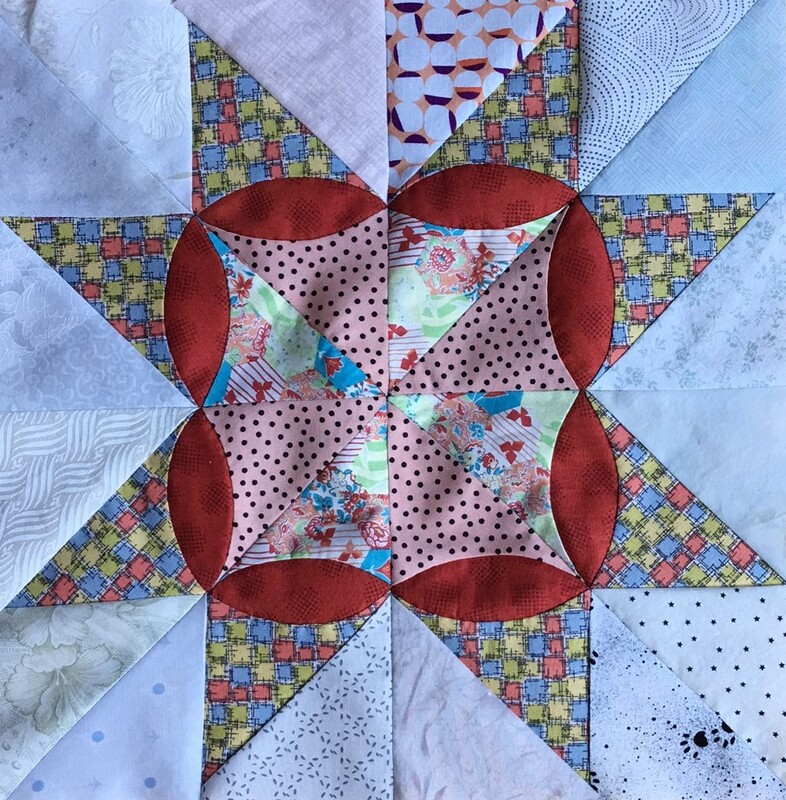 Creating Comfort quilts is an excellent way to explore variations, and I thoroughly enjoyed making the 5th in this series.